The university was established in 1975 in Multan, Punjab, Pakistan. By covering an area of 960 Acres the university is one of the largest Institutes in southern Punjab. 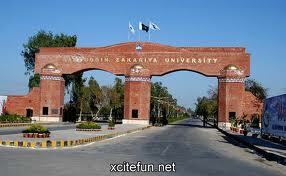 It carried the name Multan University and was renamed in honor of Hazrat Baha-ud-din Zakariya. The university is awarding degrees in more than 23 subjects. In Higher Education Commission’s ranking it’s on Number 5.